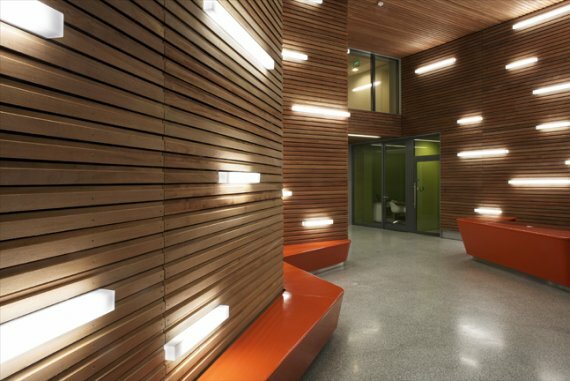 Mindseye Lighting Design has sent us photos of the reception area of an apartment block within the recently completed Bermondsey Square regeneration project in London. 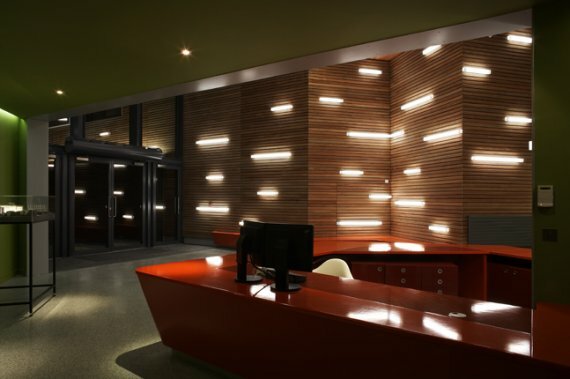 Mindseye Lighting Design were approached by Munkenbeck and Marshall Architects to design the lighting for the residential reception area. 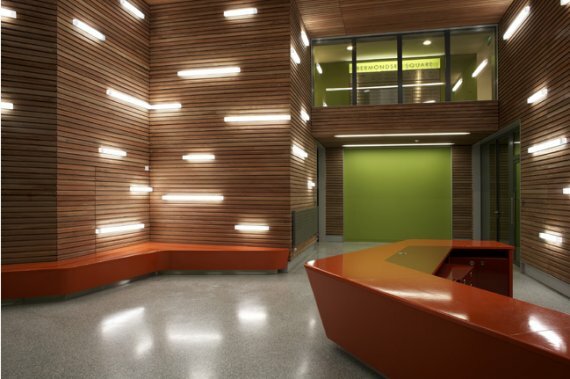 When briefed, Mindseye quickly realized that illuminating the space would be a challenge. The budget was restrictive and the space is relatively complex, having a split level design with double and triple height ceilings and timber clad walls. What’s more, there’s barely a right angle in sight. 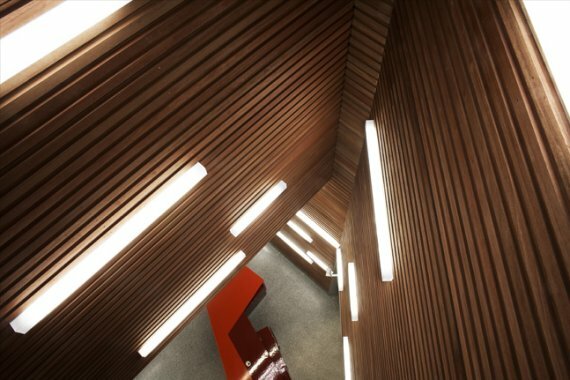 Due to these challenges, instead of accentuating or treating surfaces and details, we took a different approach, the idea being to use the visual language of the linear cladding and integrate bespoke fluorescent luminaires with acrylic diffusers. No luminaire on the market was suitable to be integrated into the cladding, so we took the challenge and designed a bespoke luminaire. Their lengths and positioning were carefully considered in order to work with the space, sensitively enhancing the dramatic aesthetic. Visit the website of Mindseye Lighting Design – here.